The SMOK Magneto RSST One is the newest hybrid all-in-one style mod that is elegantly built and compatible with one 18650 size battery. 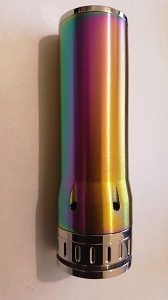 The body of the Magneto RSST is one solid stainless steel tube, with a tank section that unscrews and easily slides out of the in or out of the body. 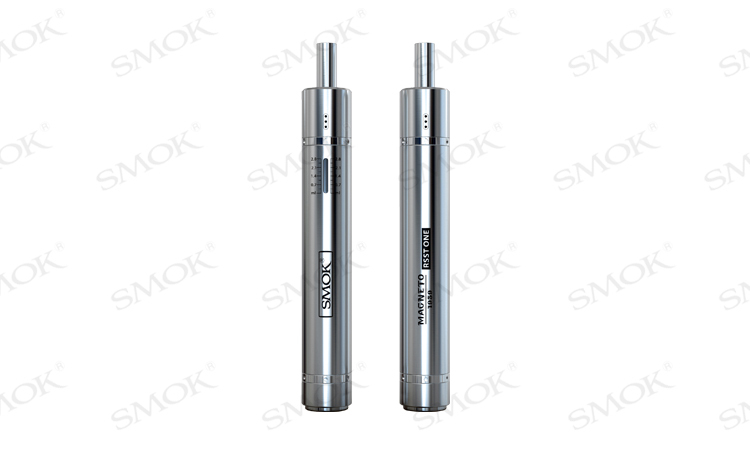 The RSST tank is composed of pyrex glass tank and is designed for dual coil builds. 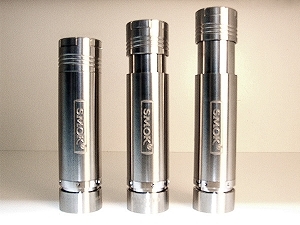 This tank also features an adjustable air flow top cap so you are able to control your airflow. 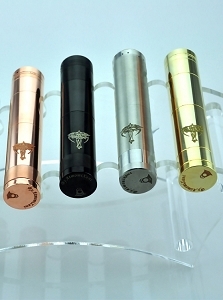 The Magneto tube has a small measurement window on the top which lets you see your atomizers juice level. 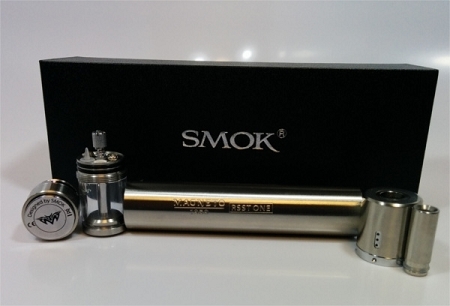 With its sleek look and conveniently smooth throw the SMOK Magneto RSST One is a fantastic hybrid mod that will accentuate any vaping enthusiasts collection.